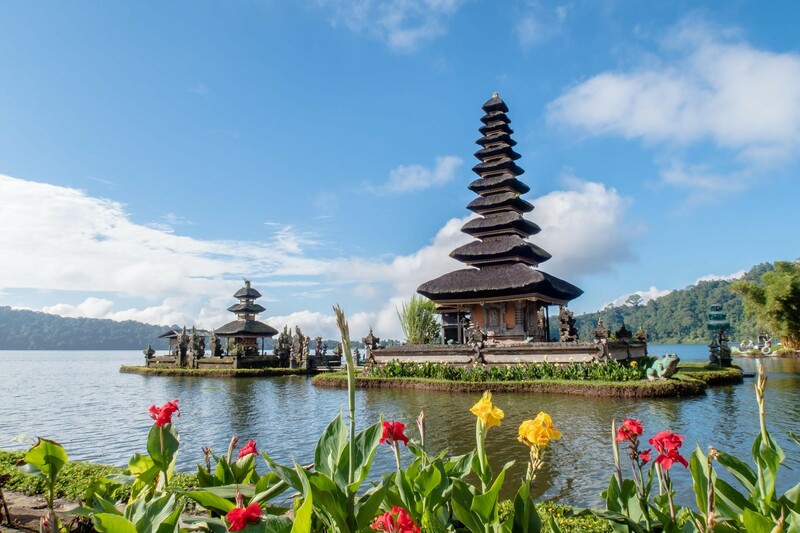 Bali truly deserves to be named a perfect holiday destination. This is one of those places that stay with you forever because it has everything that you ever wanted and more. The diversity there is simply incredible, making it a perfect destination for any type of tourists. Whatever your preferences and personal tastes are – Bali has it! A rich history, opportunities to explore, admiring the natural wealth and wildlife, activities for the adrenaline junkies, exotic beaches and breathtaking landscapes… A trip to this island is also a perfect gift for a loved one because of its abundance of romantic spots. If you don’t trust us, read on. Temples are what first comes to mind when you think of Bali. There are around 20,000 temples on the island! The biggest one of them, and the holiest, too, is Pura Beskih, or “The Mother Temple”. It gives you the opportunity to take really amazing photos because it’s located on a rock high above. It was built in the 17th century and it will take your breath away, as well as any other temple on the island you choose to visit. 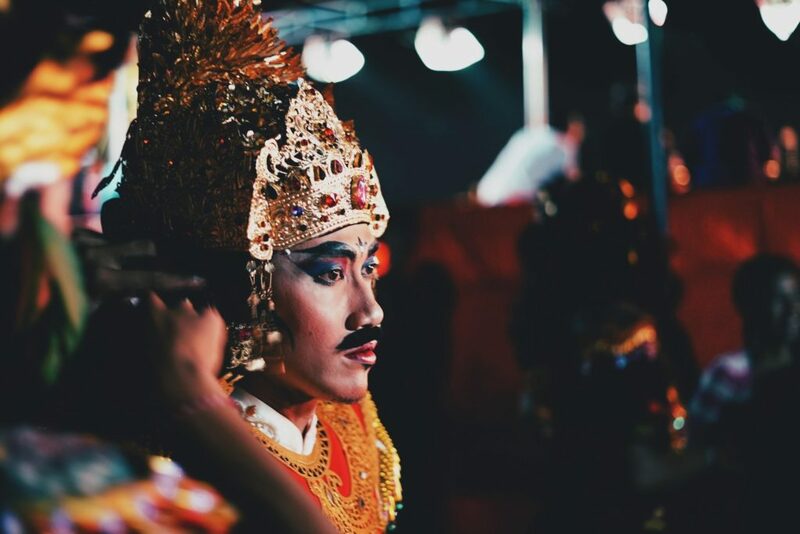 Drama and dance are important parts of Bali’s religious life. They are also a comprising part of any local festivity. If you are lucky enough to come across a village performance, stop and enjoy it. You can also watch performances with wonderful costumes prepared specifically for tourists. You can watch The Barong and Kris dance which represents the eternal fight between dark and light, good and evil. The scenes can be almost obscene, which is a part of their charm. Another dance you shouldn’t miss is the Kecak dance, which is usually performed outside, next to Pura Tanah Lot temple. Telaga Waja River is the place to go if you want to be soaking wet and screaming out of pure joy. Rafting along this river will be one of the best experiences you’ll ever have. Another unique experience is getting inside a Seabreacher – it is a watercraft with a cockpit reminiscent of a jet. It allows you to splash and race through water at the speed of 80 kilometers per hour. You can try something else by gliding across the sea between cliffs. Abyss Zipline allows you to enjoy the view of waves crashing into cliffs from above. Not many people dare to do this but it is totally worth it! Maybe sliding down a natural waterslide is your idea of crazy fun. On Bali, that can be arranged, too! Aling-Aling Waterfall is located in the northern part of the island and it’s not crowded like other waterfalls. The hike leading you to the top of the waterfall will pay off greatly when you start your short, but exciting way down. The island is a perfect place for newlyweds for so many convincing reasons. A growing number of newlyweds opt for a honeymoon in Bali because it is all they can ask for to start their new life together. First of all, you will get to see one of the most beautiful sunsets in the world in Bali. Go to the Uluwatu Temple and let go of everything and simply enjoy the beauty with your spouse. The view is unspoiled with pollution and magnificently colored. Beaches are also a perfect romantic spot, but a long walk along Seminyak beach is the one that you will cherish forever. The bright stars, the waves crashing and twinkling lights coming from the distant buildings – what more do the two of you need? After you’re done with the walk, you can go to a nearby restaurant and enjoy a relaxing date night. Taking a sunset cruise is another chance for the two of you to have a romantic day ended with a perfect sunset. There are many private boat operators that can offer you a wonderful cruise accompanied by musicians while you enjoy your glass of wine. Ubud Monkey Forest will show you how magical the wildlife on Bali really is. Monkeys that you will get to see will simply steal your hearts. The forest is amazing, much like the chance to have a monkey on your head! Bali’s volcanoes are too majestic to miss. Mt. Batur is an active volcano that will also provide you with splendid views of the island. You can opt for a sunrise trek all the way up to the summit that will last for two hours. Scuba diving can be done on many spots on the island. Marine life around the island is incredible, giving you the opportunity to spot the famous sunfish. You will feel like a part of the ocean – a feeling that can’t be compared to anything else. No matter what the purpose of your holiday is, Bali is the place to go. Whatever type of tourist you are, you won’t get it wrong if you spend your vacation in this magical Indonesian island.